Every month, the third Saturday is a special day at Birch Aquarium: SEA Days! As the tagline suggests, SEA Days are always full of “Science, Exploration, & Adventure.” Visitors and members can meet a Scripps Institution of Oceanography or UC San Diego researcher, get hands-on with science, participate in activity stations, and get creative with a thematic craft. They are tiny, abundant, and floating around in every ocean. Perhaps you have witnessed them giving color to the water, or have unknowingly come across them while eating seafood (as they are the bottom-level organisms in the food chain). Even though you need a microscope to view them, did you know that plankton are like microscopic cogs that keep the ocean working properly? September’s SEA Days: Plankton Power, is your perfect opportunity to find out more about these small creatures, and better yet, be able to see them in stunning 3D clarity with our new 3D microscope! Saturday, September 20 at Birch Aquarium is all about plankton and the role they play in our oceans. 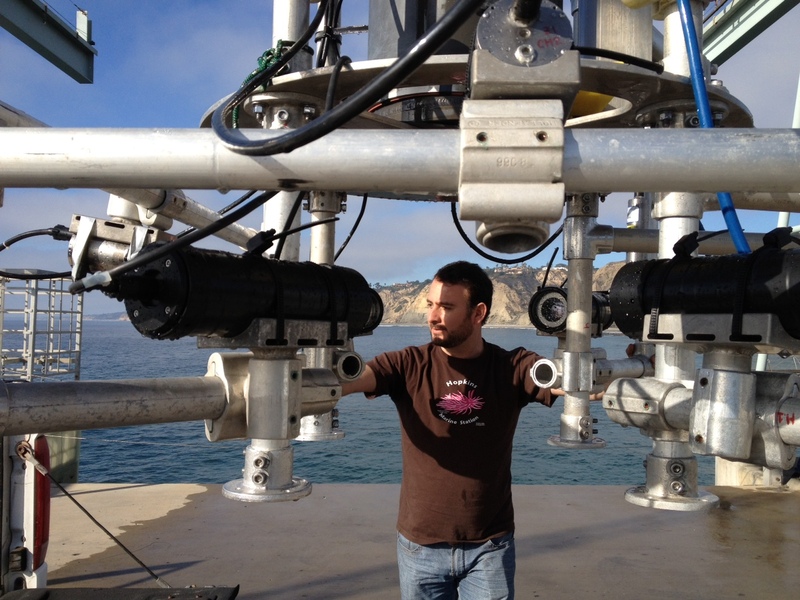 Our visiting scientist is Christian Briseño, a UC MEXUS Graduate Fellow, as well as a Ph.D. candidate here at Scripps Institution of Oceanography. 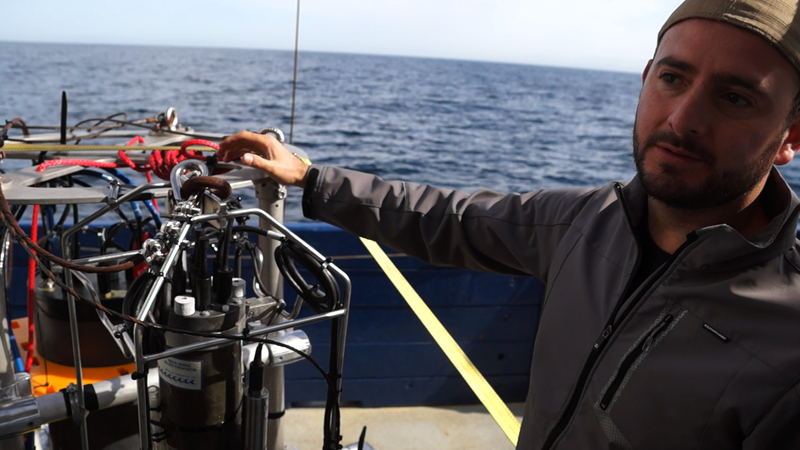 He has conducted extensive research on zooplankton and their interactions with the marine environment. Below, Christian answers various questions about his experience in the field, and gives some advice for future scientists. I received my undergraduate degree from the Universidad de Guadalajara, Guadalajara, Jalisco, Mexico. I graduated with a degree in Biology. My current research focuses on applying new technologies, optical and acoustical, to study zooplankton ecology. I explored diverse areas when I was in college, from neurosciences to cell biology to botany. But it was when I first “peeked” into a dissecting scope where there was a net sample containing zooplankton that I first encountered these incredibly diverse, alien-looking microscopic organisms. I then learned how important they were in the ocean ecosystems and ultimately to the early (and sometimes adult) life stages of so many fishes, including commercial species important to the human diet. I am still fascinated that the largest animals on the planet feed on the smallest ones; baleen whales, for example, are known to feed mainly on aggregations of euphausiids and copepods. It was after this experience as an undergrad that I decided that I wanted to be a plankton ecologist. This led me to write my undergraduate thesis based on the zooplankton samples that I had collected over an annual cycle on the Eastern Tropical Pacific. I did this with no financial compensation, but I was so ecstatic to be learning so much about these fascinating organisms that it didn’t matter. My undergraduate mentors where very supportive and encouraged me to pursue graduate school and continue my career as a plankton ecologist. I think the most important quality in a scientist is the capacity to be inquisitive and curious. A scientist always wants to learn more about certain processes, phenomena, or organisms. Another important quality is the capacity of synthesis, for there is a plethora of information one needs to sieve through to find the most appropriate path to answer our questions. To be able to understand how zooplankton distributions fluctuate in time and space, scientists rely on new technologies to sample these organisms at the smallest spatial scales – and as quickly as possible. I am working with an underwater camera system (a submersible microscope, so to speak) to study how zooplankton interact with their physical environment, as well with other members of the plankton. 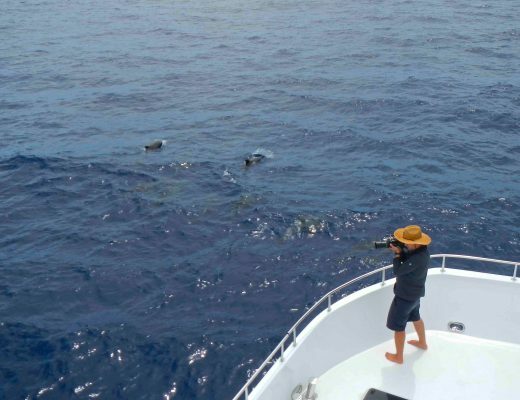 It is with the aid of these newly developed cameras that we are beginning to observe some phenomena in situ, in the least undisturbed way since we are not collecting the organisms but just imaging them. I will be showing the 3D microscope, developed in the Jaffe Lab for Underwater Imaging, that now belongs to Birch Aquarium. I will talk to visitors about what organisms they will be seeing on the screen, why they are important, and why should we care. Hopefully we will have a fresh plankton sample from the pier to show them this marvelous microscopic world usually hidden from most of us. I might be able to bring some preserved plankton samples as well and people might be able to see them on a dissecting scope. Definitely find a program near you and volunteer; dive into the field you like, get wet, and obtain hands-on experience. I would strongly recommend paying attention to the STEM (Science, Technology, Engineering, and Math) curricula; this will provide a strong foundation for future careers not only in oceanography, but virtually any area of the sciences. I feel I shouldn’t have a favorite. They all fascinate me in one way or another! I do, however, have soft spot for copepods. Arguably the most abundant metazoans in the world, copepods come in different sizes, shapes, and colors, all with different behaviors that make each of them unique. Not to mention their important role in biogeochemical cycles, such as carbon cycling and export. Join us on Saturday, September 20 for SEA Days: Plankton Power—there’s something for everyone!